This is a Mt. Shasta Sacred Site Tour and Activation guided by Randall Monk. Note: This tour is exclusively for participants in the Carson Valley Inn, June 8, 2019 seminar. This is a two-day overnight tour. JOIN RANDALL MONK, MEMORY SEED ACTIVATOR, ON A JOURNEY TO SACRED LOCATIONS ON MAGICAL MT SHASTA WHERE WE WILL SPEND TIME IN MEDITATION AND SACRED CEREMONY BURYING ASCENSION COLUMN OF LIGHT STONES. YOU WILL ALSO RECEIVE A MEMORY SEED ACTIVATION. IF YOU HAVE ALREADY RECEIVED AN ACTIVATION YOU WILL RECEIVE AN ACTIVATION BOOST. I recommend wearing layers of clothing. June is normally mild at Mt Shasta. 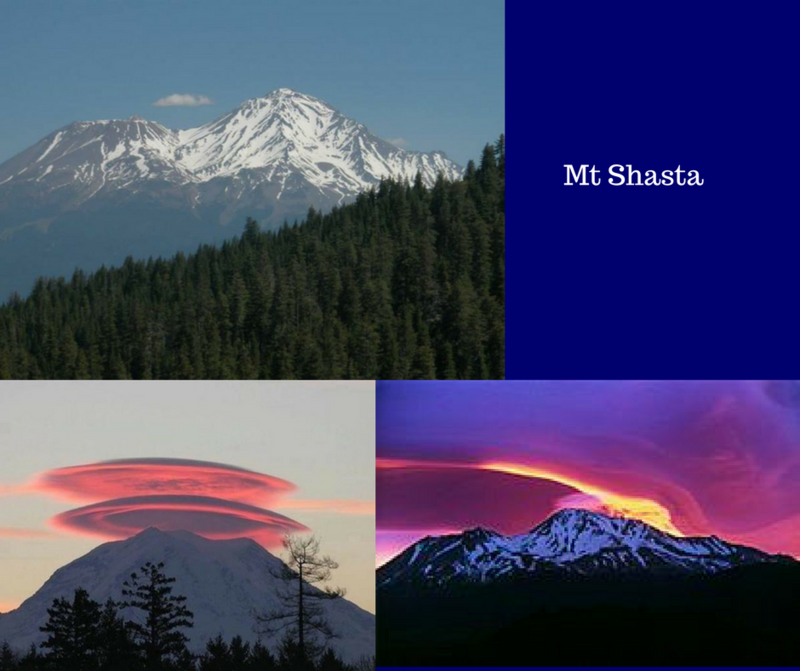 However, since Shasta City is at 3600 feet (1097 meters) and Mt Shasta is even higher weather conditions are subject to change. As you know weather is unpredictable. Mount Shasta weather during the month of June is characterized has an average high of 76 degrees F (24.44 C) and an average low of 45 degrees F (7.22 C). We will be in nature, sitting on boulders or on the ground at times, so I suggest that you bring something to sit on if you need to sit on the ground or bring a folding chair if you like. IMPORTANT: You will need to have your own transportation so bring your vehicle or rideshare with someone. We normally go off the paved roads so it’s best to have an SUV or a vehicle with high ground clearance. We will be doing some hiking so please be prepared for some exercise. Please bring water, a smile, layered clothing, and a snack if you like for the Mt Shasta Tour. We will spend the day on Mt Shasta participating in a sacred ceremony with a two-hour break for lunch in town where you can have lunch and do some shopping if you like. I recommend that you make your reservation early. You will need to make your own lodging reservations. I have listed options below. The nearest local airport is Redding, which is about a one hour drive North up the I5 to Shasta. Redding is a small local airport and flights are limited. The Medford, Oregon is a very good choice and only about a 2-hour drive South to Mt Shasta on the I5. The Nearest International airport is Sacramento, which is approximately a 4-hour drive North up the I5 to Mt Shasta. There is also an international airport at Reno, Nevada, which is also about a 4.5-hour drive to Mt Shasta. The San Francisco airport is about a 5-6 hour drive.